To lay the foundation for your child's future educational development with the Montessori Approach. At dMP Kindergarten, we believe that the home is the first place of learning, thus we see ourselves as partners with parents in educating each child. We believe that the first six years of a child’s life are the most critical learning years. 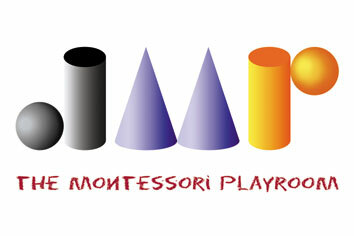 By providing opportunities in a warm and loving environment for each child to engage in various forms of high quality play, we aim to develop each child physically, cognitively, linguistically, emotionally and socially and to nurture his/her natural intelligence, creativity and talents to the fullest. In "The Absorbent Mind", Dr Maria Montessori wrote, "The most important period of life is not the age of university studies, but the first one, the period from birth to the age of six. For that is the time when man's intelligence itself, his greatest implement is being formed... At no other age has the child greater need of intelligent help, and any obstacle that impedes his creative work will lessen the chance he has of achieving perfection." Controlled research in modern psychological studies has shown that the intellectual growth of the brain reaches 30% by the age of 2, 50% by the age of 4 and 80% by the age of 8 while the physical growth of the brain reaches 1/2 size by 18 months and 9/10 size by the age of 6. Why choose a Montessori preschool education? 7) and to respect and care for others and the environment. Why The Montessori Playroom Kindergarten? Our classroom is spacious, brightly lit and has laminated flooring to provide a clean and pleasant work room for the children. Our walls are painted white and our windows are dressed with plain curtains so that the only colour of the room comes from the Montessori materials; the children are not distracted by unnecessary wall colour and thus absorb the correct information. Our kindergarten proudly uses all original Montessori materials and furniture imported from Gonzagarredi, Italy, the homeland of Dr Maria Montessori. These materials and furniture pass the stringent quality requirements set by the Association Montessori Internationale (AMI), the international organization founded by Dr Maria Montessori. We provide the full Montessori curriculum for children from 2 1/2 to 6+ years of age. Our curriculum is approved by the Ministry of Education (MOE). Our classroom is organised into various Corners: Practical Life, Sensorial, English Language, Mathematics, Cultural (Biology, Geography, History, Science), Audio and Book Corner, in which we have the Early World of Learning story books and programmes that covers 93 skills essential for preschoolers before entering formal school. The children are allowed to move freely to work on any of these activities during Montessori Work time. Chinese language, Music & Movement, Creative Art & Cookery, Story Time and Circle Time are conducted as group presentations. Our staff has a combined experience of over 25 years in early childhood education and are driven by passion for children and dedication in providing a loving learning environment for your child. Our Principal, Mr Jake Goh and Head Directress, Ms Wendy (founders and owners of dMP Kindergarten) obtained their Bachelor of Science degrees from the National University of Singapore. Mr Jake Goh also has a Bachelor of Arts in Psychology from Murdoch University. Our directresses have formal qualifications, i.e. they obtained Diplomas in the Montessori method of education from various Montessori institutions. Our Head Directress is qualified with the International Diploma in Montessori Pedagogy with merits in Teaching Practice and Theory from Montessori Centre International. Three of our staff have Diplomas in Preschool Education Teaching, fulfilling MOE's requirements in terms of the qualifications of teachers. Our Senior Chinese Teacher has 10 years of experience and has been with us for more than 7 years. Mr Jake Goh was the Chairman of the management committee of a church kindergarten in Bedok from 2008 to 2016. We maintain a strict low teacher-child ratio - 4:26. The ratio is just an arbitrary guide to the number of children we take in per directress. In actual fact, each child is given individual attention; the directress often conducts presentations or lessons on a one-to-one basis. Our assistant teachers use Mandarin to converse with the children, thus providing a bilingual environment for the children. We believe that the children will be able to learn Chinese better when they are in an environment that encourages them to listen and speak in Mandarin.